Whatever happens is for good.This was also destined to happen and maybe a lesson for many of us and in particular myself who considered this person to be willing to go out and help someone who really needed it. Forgetting that there are foxes in garbs roaming around. I in particular am feeling very guilty about having reacted to Shammi's mail about this person when she called it a stage show.But I guess Baba wanted it that way and in this also there are many lessons. I owe an apology to both Manuswini and Shammi and I hope you both will accept my apologies. Nahi Sanjiv bhai No apologies .. Its ok .. Lets together send all apologies to dear babas holy feet and ask for forgiveness.. Let all the forgiveness pleas turns into madhukamini flowers and adorn baba lotus feet and let baba forgive us all !! so as not to leave any actor here without any role .. Hai na .. ? Im sorry if i have done anything wrong. I dont know who SRIRAM bhai is. I live in INDIA. I was not aware that u all knew about this miracle before. I thought of sharing this to all as i got in my mail. I never had any intention of copying it under my name. he takes care boundless and endless .. Absolutely Nothing to hurt your feelings !! I got this mail from Srinivas Rao Kasturi[saibanisa2]. I get mails every Thursday about devotees experience. I had got this mail last thursday. So i fwlt very happy by reading this mail. I read this miracle for first time. So i sent it. Don’t be sorry for anything. It was a genuine effort to put light on a Sai Miracle. Jai Sai Ram. I was keeping this to me for so long but I would like my dearest loved ones in this forum to know. I was one of the victim of 25000 USD too. But Baba Sai saved me from sending the money. I'm not angry with this people but extremely hurt on how they use others pain to their advantage. Only people who lost their child will know the pain of it. How much my heart is longing for a child. I don't want to mention their names. But one thing for sure every act is known by Baba Sai. He will know how to bring them to his path of righteousness. May Baba Sai Bless them with good thoughts in future. Just a piece of advise to all my loving brothers and sisters, be extra careful. Jai Sai Ram. 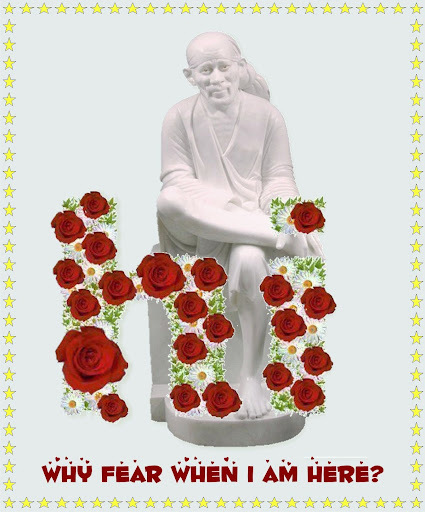 OMSAIRAM!Malar ji,BABA will bless you soon with a bundle of joy. BABA has also choosen you for this Sai leela. As BABA has said to his devotees.. I will not allow my devotees to come to harm If a devotee is about to fall, I stretch out my hands to support him or her. Other people's acts will affect just them. It is only your own deeds that will affect you. 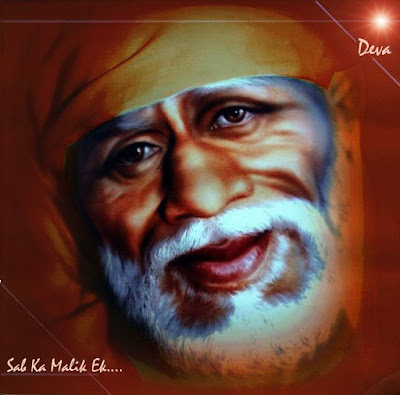 so Malar dear BABA will always take care of his devotees and will take us to the end. It is a lesson for all of us to Distinguish right from wrong. BABA wanted to drill into our ears that TRUST IN THE GURU FULLY ! We all are praying to BABA to answer our prayers. I also got cheated because of this child issue. There is one boy in Madras who says that SWAMI is speaking thro him.And he said that if you pay 2500$ to Swami then you will have this month itself. (as [pariharam) I am sure you know to what measures we go in desperation. He said you will spend $60,000 if we dont agree with this. I also parted with the money and I did not take any medicine during my monthly time. I suffered a lot ,but still i didn't take it, trusting what that person said. Nothing happened that month or even a year after that.The joke is this boy has the audacity to call me and ask me for $1000 more dollars.I asked him from where he got my phone number. He said that swami wrote it on the mirror.He had earlier taken the number from me and I remembered it. I LEARNT A LESSON .SWAMI ALWAYS SAID THAT HE NEEDED NO MEDIUMS TO COMMUNICATE WITH US.This was a punishment for me to have listened to someone who said that Swami is speaking thro him.No doubt certain things he says do come true.But I dont think that Swami wants us to listen to such people. Dont worry my sister Lakshmi - Baba will fullfill your wishes of being a mother ..
Let it flow as the air you breathe ..
Keep urself just closer to baba and closer to baba .. and he would keep you away from such cunning people ..
Every experience comes with a bunch of lessons. embrace them, learn from them, grow from them & make them a part of you. Once you eternalized them, you can share them with others. This way you did not only nurture yourself but made a difference in others lives as well." They say experience is the best teacher but also serves as a reminder. The cycle of the same experience will not end till we learn from it. Will call you sisterv Shammi in fure. Thanks Dipika. thanks for info on Sai Amrit Vani.